Six months ago I started teaching a class on Machining. We held one two hour session each Tuesday. The students where Dave Propst, Kaleb Watson and Ed Cooper. The primary goal of the class was to impart enough knowledge to the students so that they could safely and effectively use the machine shop without supervision. 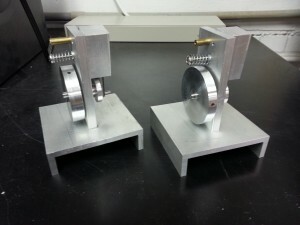 The two primary tools were the metal lathe and the CNC milling machine. I have always learned best by doing a project that forces me to learn the given subject. To that end I asked the students to build a steam engine. Through the course of the class we worked on the easiest part first, the second easiest part next, and so on. This introduced new operations and safety procedures as they were needed. We had the last class two weeks ago. Dave, Kaleb and Ed are now fully qualified to use the equipment without supervision. In the picture above you can see the engines built by Kaleb and Dave. Unfortunately, Ed was not available for the photography session. Oh, and by the way, all of their engines worked at first try. Congratulations Kaleb, Dave and Ed for your perseverance through all of those weeks. There will be more of these classes as we get enough students to hold them. This February, FCW offered a four week workshop on the ST32F4 Discovery Board from ST Microelectronics. This board contains a ST32f4 ARM based processor with 1MB flash and 192K RAM. The board also contains a 3 axis accelerometer, a digital microphone, an audio DAC with class D speaker driver, several LEDs, 2 pushbuttons, and headers to connect to external circuits. The board can be programmed via its own toolchain or by GCC. Rich conducted the workshop with six students. Topics covered included the features of the board,, use of interrupts, accessing the on-board peripherals,and an introduction to C programming. This board is being used in projects at FCW. FCW plans to offer additional workshops in various microprocessors including AVR, ARM, PIC, Picaxe, and Propeller processors. 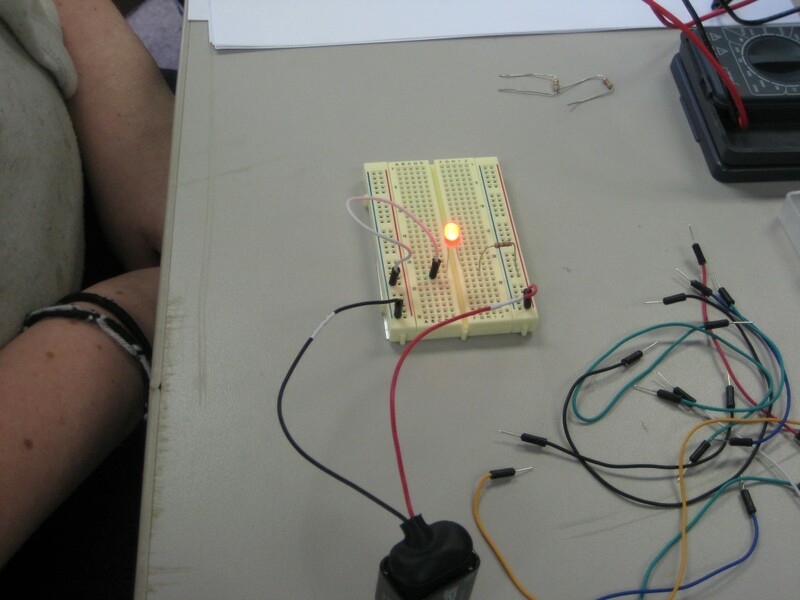 This Summer, FCW held a workshop in Digital-Electronics: Gates. The five participants were introduced to the essential gates (AND, OR, NAND, NOR, XOR, XNOR, and NOT) that make up all digital systems. 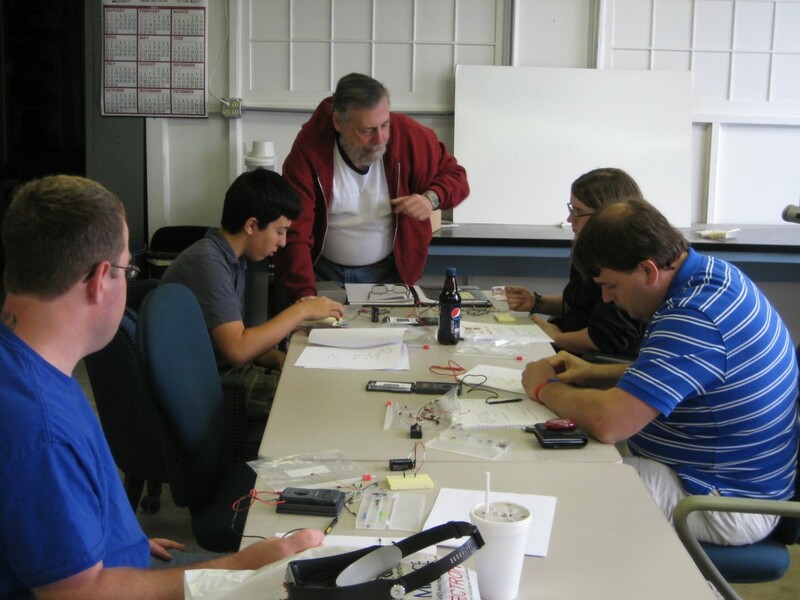 Hands-on lab exercises using digital trainers and solderless breadboards allowed the participants to connect the “chips” to switches and indicators so as to illustrate the basic logic functions. Describing digital circuits using logic diagrams, truth tables, and Boolean equations was also introduced. The workshop was conducted by Michelle Suddreth, who has 30 years of experience with digital design and troubleshooting. This is the first of 5 workshops in digital electronics. In addition to the workshop on Gates, additional workshops are planned as “MSI – Encoders, Decoders, and Multiplexing“, “MSI – Flip Flops, Counters, Shift Registers“, “Sequential Circuits“, and “Introduction to VHDL“. These should provide enough information to allow additional circuitry to be used with microcontrollers or PLDs. Thanks to the Granite Falls Radio Shack, who provided materials for this workshop. This is the first of numerous workshops which will include electronics, soldering, machining, ham radio, programming, and other topics. 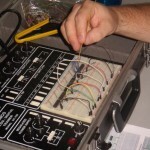 A Basic Electronics Workshop will be conducted at FCW from 10AM -2PM on Saturday, April 28, 2012. 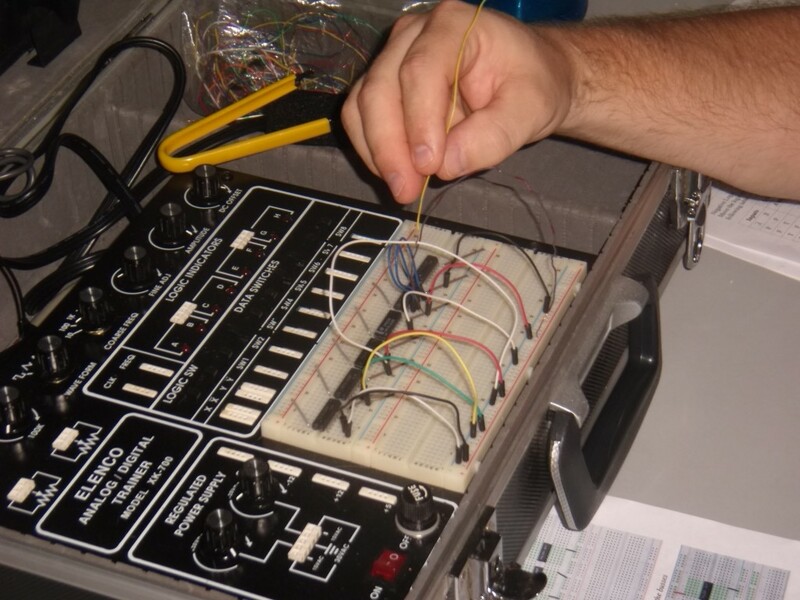 This workshop is intended to introduce simple electronics concepts to those with no electronics background. Rich Goldner will be the instructor. 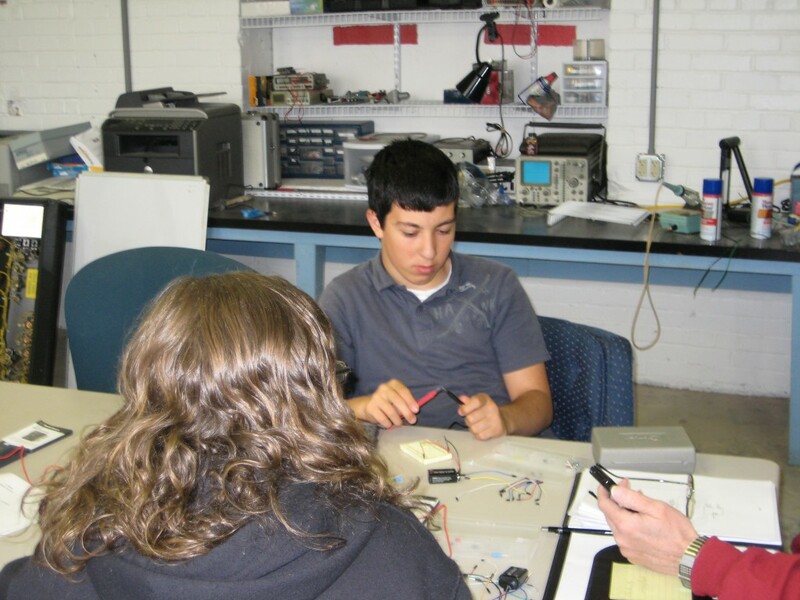 He has extensive experience with electronic and microprocessor circuits. There are 6 slots available. Leave a message for Rich or the general FCW contact to reserve a place.